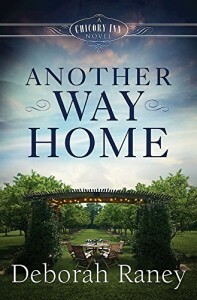 Another Way Home by Deborah Raney is the third book in the Chicory Inn series, although it can be read as a stand-alone. Having read the previous novels, it was wonderful to catch up with the familiar characters. This novel follows the fortunes of Danae and Dallas as they desperately try to fulfil their dreams for a baby. They have been caught up in the IVF system for several years and failure is affecting Danae’s mood and all she comes into contact with. 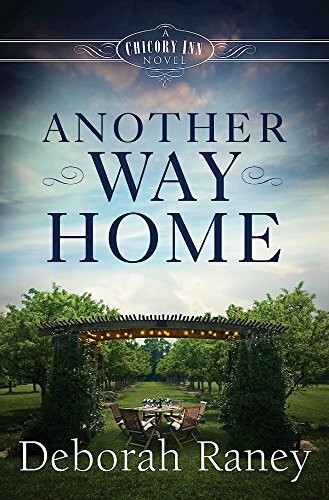 Another Way Home follows the couple on their roller coaster emotional journey. Linked in to the IVF theme is the theme of family. Danae comes from a close knit family of five siblings, with their parents at the head. Her parents believe in fostering family bonds, and open their home every Tuesday evening for a family bring and share meal. The young cousins grow up knowing each other and with a huge sense of family. God plays a central role in the novel. The whole extended family prays to Him, and not just in times of trouble. The love of the whole blood family spills over into people they meet. As Christians, they have a heart for God and for people. The theme of adoption also runs through Another Way Home. As IVF has failed so far (at the start of the novel), so Danae’s thoughts turn to adoption. However Dallas, as an adopted son himself, is not keen to go down this path. Deborah Raney within the novel, presents his arguments, arousing sympathy from the reader. Another theme in the novel is that of abused families, as Danae volunteers in a safe house. The whole issue is very complex, and there are some truly heart wrenching moments. Sacrificial love is demonstrated within the novel. Hopes, dreams and lives are all laid down for others. A mother’s love is the strongest type of love, and the lengths that a mother will go for her offspring are shown within the novel. As with previous novels in the Chicory Inn series, I got totally caught up in the lives of the characters. The dilemma when reading was to read compulsively to see the outcome, or to read slowly and to savour the moment. I am afraid I chose to read compulsively and therefore the ending came far too soon. Any of the novels can be read as a stand-alone, but for a real treat, buy all three in the series, and start with book one. You will be glad you did.